David: Some days seem to be haunted by words. 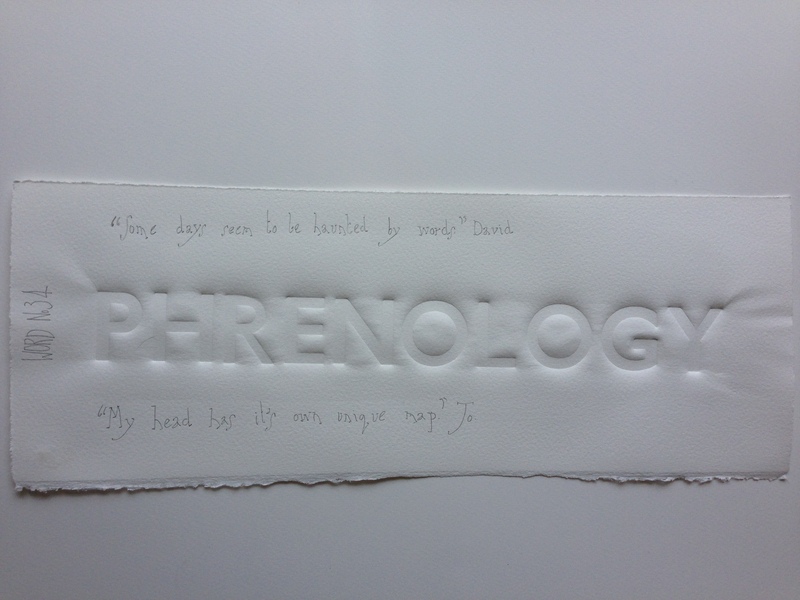 Today the word phrenology has been stalking my steps. Phrenology heads – three-dimensional maps of a fictional science – stared down at me in the barber’s chair and as I walked home, their eyes followed from the junk shop and the alternative clinic. When I got in the word leapt from the radio and then sprang from the book on Victorian forensic practice I am reading. When words follow you, loom like this, they seem to become extra potent. Laden with message and mystery that I am too dumb to grasp. Whether I wanted it or not, phrenology was today’s word and I have been musing on the idea that maybe we do need modern phrenology maps of our heads for navigation purposes. Jo: Oh how I would love to have a map for the inside of my head – but, actually, Mr R says he would definitely not, cause it would be too terrifying! It has taken me a considerable period of my life to realize that other people’s maps of their heads wasn’t set out like mine. For years, I felt an outsider, with an element of rejection that goes with that. However, now, having navigated many of the troughs and heights of the rugged terrain of my mind, and become very familiar with its twists and turns, I love the fact that my head has its own unique map – that only I know how to navigate! This entry was posted in 50/50. Bookmark the permalink.